State Senator Art Linares (R-33) today testified before the legislature’s General Law committee in favor of two bills that would help small business. The bills would eliminate the need for certain occupational licenses and make it possible for businesses to hire and train more apprentices. Sen. Linares is a proponent of apprenticeships and has introduced bills to increase their availability as part of an economic and business growth agenda. Senate Bill 191: An Act Concerning The Department Of Consumer Protection And Occupational Licensing, would phase out licenses and fees that don’t have educational or professional prerequisites. Eliminating the license requirement for non-certificate professions would give businesses additional capital that could be put back into the business, Sen. Linares said. It could also open professions to individuals who might create a successful business, but cannot afford the license fee. Sen. Linares also spoke in favor of Senate Bill 353: An Act Concerning Allowable Hiring Ratios Regarding Apprentices, Journeymen And Contractors. The bill would increase the number of apprentices that could be trained by a contractor or journeyman. Apprenticeships, he said, offer one of the most effective ways for the state to address the skills gap for workers and business. State law requires the number of contractors or journeymen conducting training to equal or exceed the number of apprentices being trained. At one of the more extreme ends, the law requires 26 journeymen to train 10 apprentices. 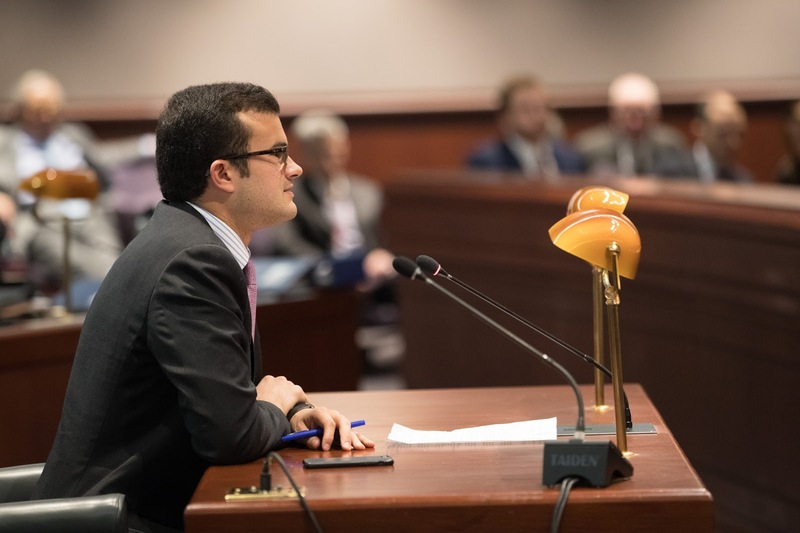 Sen. Linares said he believes apprenticeships are one of the most effective ways to provide business with the skilled workforce it needs while providing workers with the training that will lead to meaningful employment. Sen. Linares’ proposal, Senate Bill 422: An Act Concerning The Creation Of An Apprenticeship Program For Identified Job Growth Industries is scheduled for a public hearing before the legislature’s Higher Education and Employment Committee later in the month. The purpose of the bill is to create a private-public partnership apprenticeship program for industries displaying job growth potential.